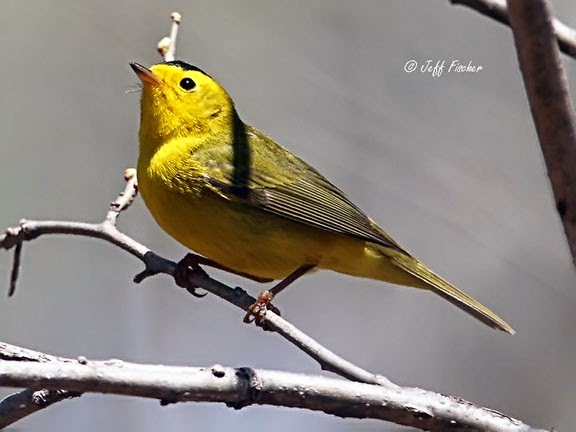 The Wilson's warbler is a small new world warbler. They breed across Canada and the western United States. The typical breeding habitat consists of open woodlands, with plenty of undergrowth, typically ponds, lakes or bogs. The nest is built primarily by the female. It is cup shaped, made of vegetation, and lined with grass or hair. It is usually placed on the ground in the grass or under a bush or sometimes low in a bush. 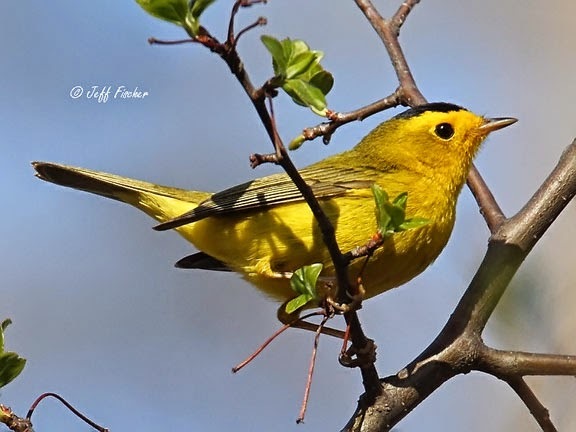 Like most warblers Wilson's warblers are primarily an insect eater, gleaning insects from trees and undergrowth or catching them in flight. Since their are no insects in Canada during the winter they migrate south to Mexico and Central America. Their wintering grounds consists of a variety of typically secondary growth habitats such as tropical forests, thorn-scrub, mangrove undergrowth, riparian forests, and coffee plantations. What a cute little birdie ! 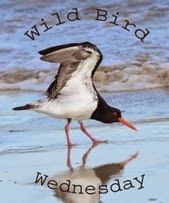 It's such a beautiful bird...loved reading about it and enjoying your photos.